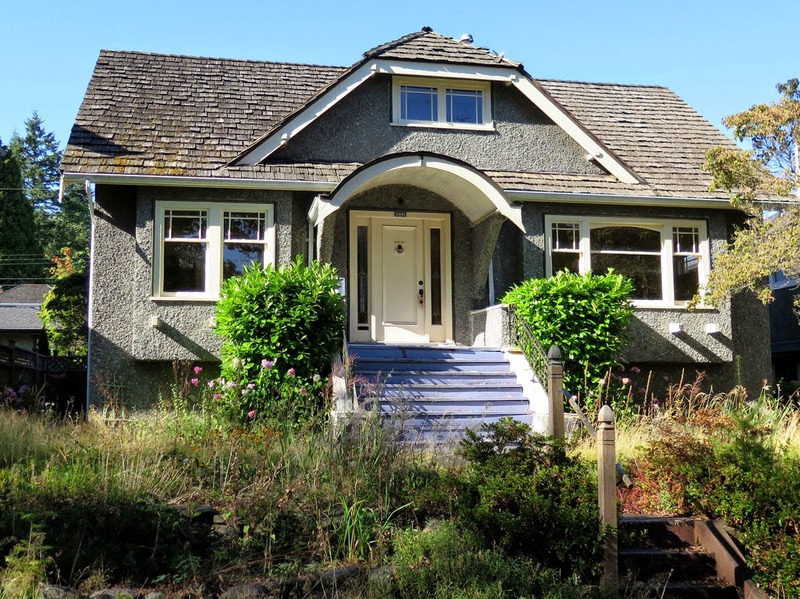 This is a typical house built in the Dunbar area (and in other areas of Vancouver) in the 1930's; this one was built in 1930 on a 50x130.25 foot lot. It was advertised for sale in February 2013 as a "level building lot". In the first photo, the house sits in its context of diversity--the two houses on either side are replacement houses. The one on the left was built in 2011; the one on the right, 1987. It is interesting to compare the values of the three houses (using the BC Assessments). On the left, the buildings are worth $1,359,000. On the right, the buildings are worth $434,000. The one in the middle is worth $27,500. Since the three lots are identical, the land value is identical, just over $2 million. Obviously, the one in the middle has considerably less interior space, approximately half the space of the others. Regarding the house on the right, it was torn down before Google Street View, so it would be difficult to obtain a photo of it. It's GONE. 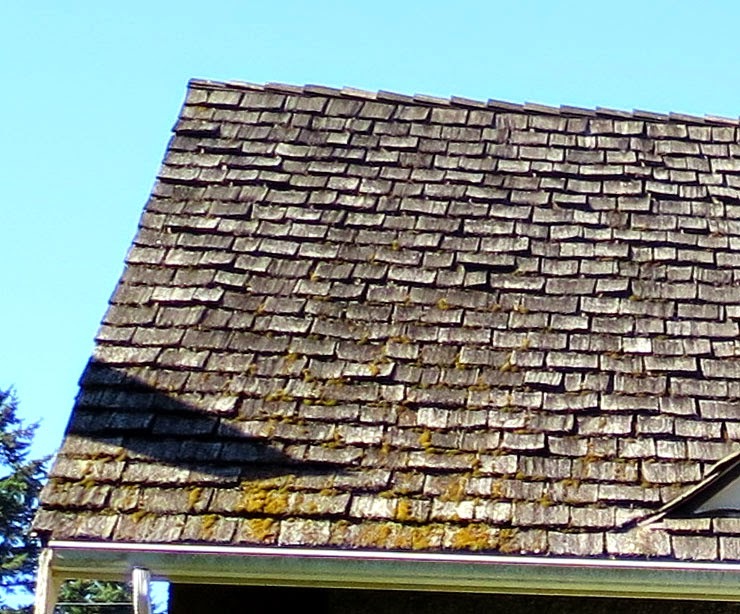 With this second photo from August, I've included a detail of the roof to show that the house needed work, no doubt quite a lot inside and outside. 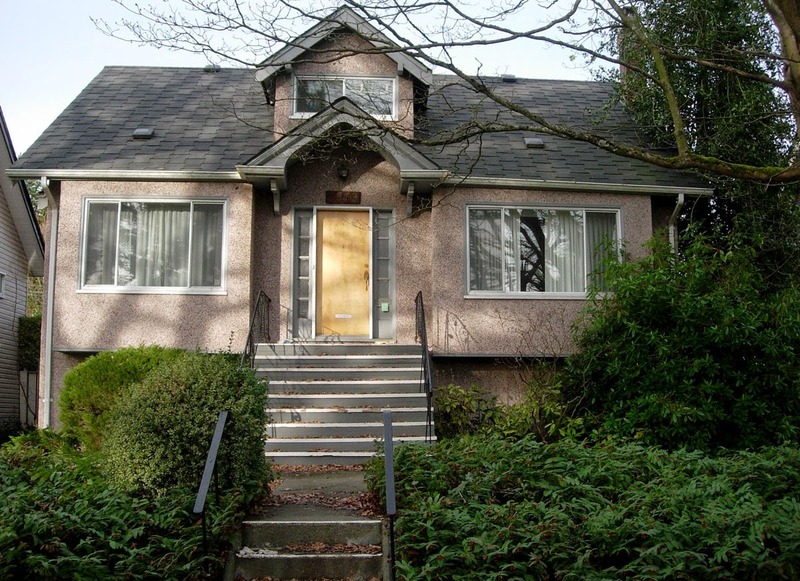 When a small and decaying house with this kind of low-key charm is torn down, does the neighbourhood lose something? Torn down prior to September 18, 2014. Address: 3861 West 34th Avenue.